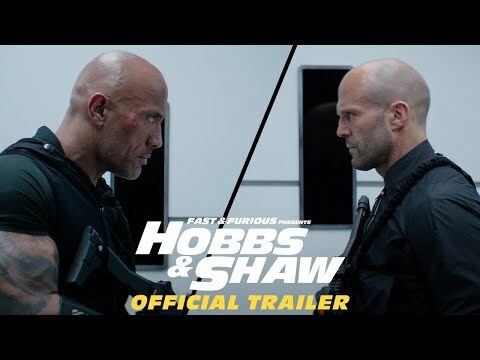 Dwayne Johnson, Jason Statham punch up, down, sideways in new Hobbs & Shaw trailer The News InternationalFast & Furious spin-off also stars Idris Elba, Helen Mirren while Game of Thrones star Sophie Turner savours mutant powers in new X-Men: Dark Phoenix trailer. Nick Jonas wraps up the shoot for Jumanji Sequel starring Dwayne Johnson PINKVILLAActor-singer Nick Jonas has wrapped up shooting for the "Jumanji: Welcome to the Jungle" sequel. Dwayne 'The Rock' Johnson was My Inspiration Before I Entered the Industry, Says Varun Dhawan News18Directed by Abhishek Varman, Kalank has turned out to be Varun Dhawan biggest opener yet. Miami football alum Dwayne Johnson one of Time’s 100 most influential people FanSidedDwayne "The Rock" Johnson, a Miami football alum, has been named one of Time Magazine's 100 most influential people for 2019. Dwayne Johnson's Daughter Turns 1: See Their Cutest Family Photos E! OnlineThe star's youngest child celebrated her first birthday this week. Dwayne Johnson's Daughter Turns 1: See Their Cutest Family Photos E! NEWSThe star's youngest child celebrated her first birthday this week. Watch: Dwayne Johnson, Jason Statham team up in 'Hobbs & Shaw' trailer - UPI (e) Science NewsDwayne Johnson and Jason Statham join forces to save the world in the newest trailer for upcoming "Fast & Furious" spinoff, "Hobbs & Shaw." Dwayne Johnson says his 'snowflake generation' interview 'never happened' Felton NewsDwayne Johnson says his 'snowflake generation' interview 'never happened' The "Jumanji" star also clarified that he has no idea where the. Nancy Pelosi, Dwayne Johnson, Sandra Oh top TIME 100 list Gephardt DailySandra Oh, Dwayne Johnson, Nancy Pelosi, Taylor Swift and Mohamed Salah headlined TIME Magazine's list of the 100 most influential people of 2019. Dwayne 'The Rock' Johnson wishes daughter a happy first birthday Daily MailDwayne 'The Rock' Johnson has taken to Instagram on Thursday to wish his daughter Tia Gianna a happy first birthday. Nancy Pelosi, Dwayne Johnson, Sandra Oh top TIME 100 list UPI NewsSandra Oh, Dwayne Johnson, Nancy Pelosi, Taylor Swift and Mohamed Salah headlined TIME Magazine's list of the 100 most influential people of 2019. 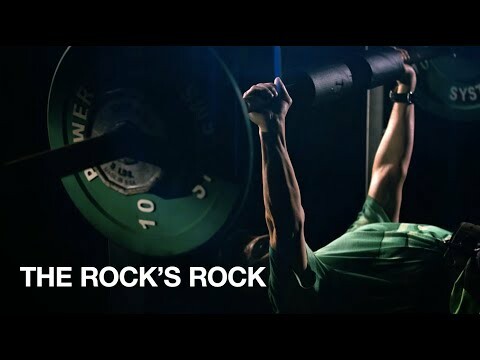 3 times Dwayne 'The Rock' Johnson showed serious love for Canada Daily HiveFrom eats to scenery to just straight up good vibes, here are three times The Rock proclaimed his strong love for Canada. Dwayne Johnson, Taylor Swift, Gayle King, more cover Time's 100 most influential people issue USA TODAYTime's celebrates its issue honoring the "100 Most Influential People in the World” with multiple covers. 'Shazam! ': Dwayne Johnson Arrives As Black Adam In New Image Heroic HollywoodAfter years of being cast in the role, new fan art visualizes Dwayne Johnson as Black Adam, ready to take on the DCEU's latest hero, Shazam! Dwayne ‘The Rock’ Johnson returns to Calgary to film ‘Jumanji’ Global NewsDecades after his short stint playing for the CFL's Calgary Stampeders, actor Dwayne Johnson has returned to the southern Alberta city. What Does the Future Hold for Dwayne Johnson's Career? Foreign Policy 2018If you are an avid follower and fan of Dwayne 'The Rock' Johnson, you might be wondering what does the future hold for his career. Here's When A New Trailer For Dwayne Johnson's 'Hobbs & Shaw' Arrives Heroic HollywoodA new trailer for the next Fast & Furious installment 'Hobbs & Shaw' is coming soon with more Dwayne Johnson and Jason Statham. Dwayne 'The Rock' Johnson Is Working on a New Tequila AskMenDwayne 'The Rock' Johnson is working on a new tequila which should be available soon. Get the details. Will “Shazam” Massively Shift Dwayne Johnson's Career? Men's Variety How the success of Shazam could mean BIG changes for the career of Dwayne Johnson. Learn how "The Rock" could be impacted by Shazam! Dwayne Johnson's Black Adam Is DC's Shot At a Justice League Do-Over CBRFollowing Dwayne Johnson's cryptic tease at what to expect with his Black Adam solo film, the movie could be a potential do-over for Justice League. Hobbs & Shaw: Trailer of Dwayne Johnson, Jason Statham's action film to be released in 10 Indian languages FirstpostMakers of Hobbs & Shaw are going all out to woo their Indian audience, and will soon release the trailer in 10 Indian languages to cater to the local audience. Dwayne Johnson Sequin Pillows Are Here — Don't @ Me, but I Kind of Want Them All POPSUGARIf you've been on Etsy lately, you've probably noticed that sequin pillows have pretty much taken over. There's a variety of hilarious Nicolas Cage and Jeff. Dwayne ‘The Rock’ Johnson Buys A Hennessey VelociRaptor V8 Ford AuthorityDwayne The Rock Johnson buys a Ford F-150 tuned by Hennessey called the VelociRaptor V8. The truck features a unique blue color we haven't seen before. Dwayne Johnson Becomes 'Shazam!' Villain Black Adam In New Image Heroic HollywoodDwayne Johnson becomes Shazam's arch-nemesis Black Adam in a new image ahead of his upcoming solo film and DC Extended Universe debut. DC Films' 'Shazam!' Sequel Need Not Rely On Dwayne Johnson As Black Adam Forbes'Shazam!' is good enough that DC Films need only use Dwayne Johnson's Black Adam if they want to.